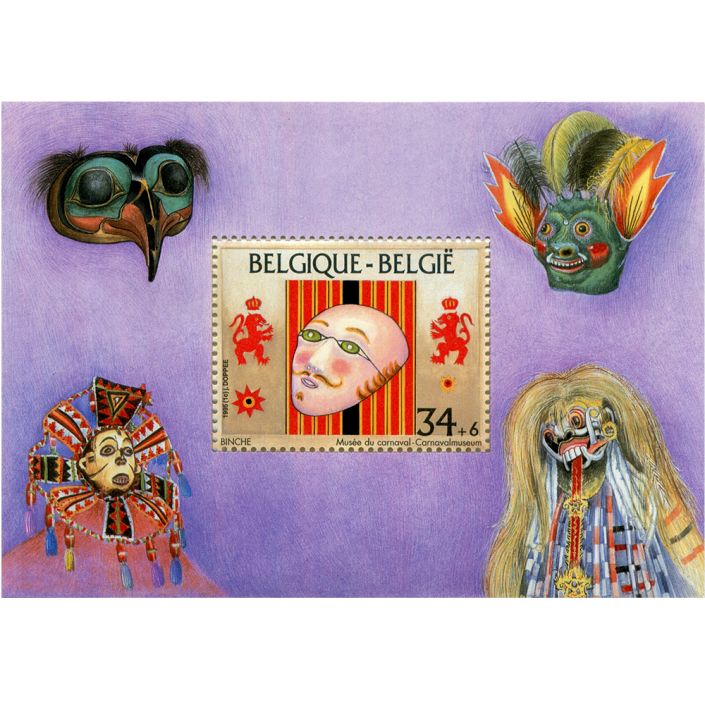 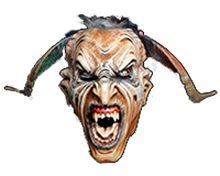 This stamp celebrates the Gille character from the Carnival of Binche, Belgium. At the bottom, the stamp promotes the Carnival Museum in Binche. 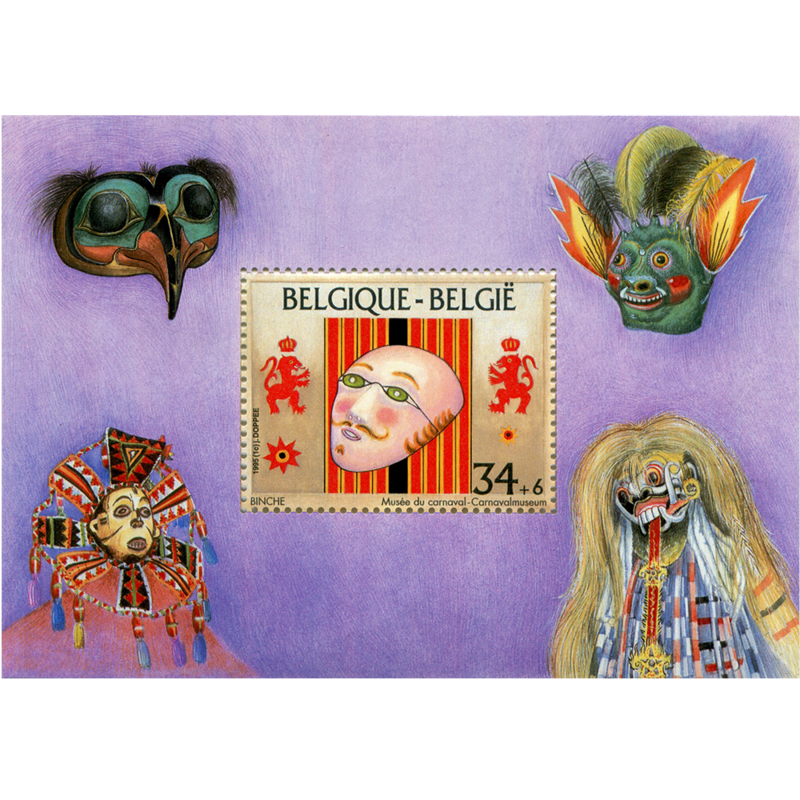 The stamp was issued in a decorative surrounding sheet depicting other masks (African, northwest coast American Indian, Bolivian, and Balinese) from the museum.